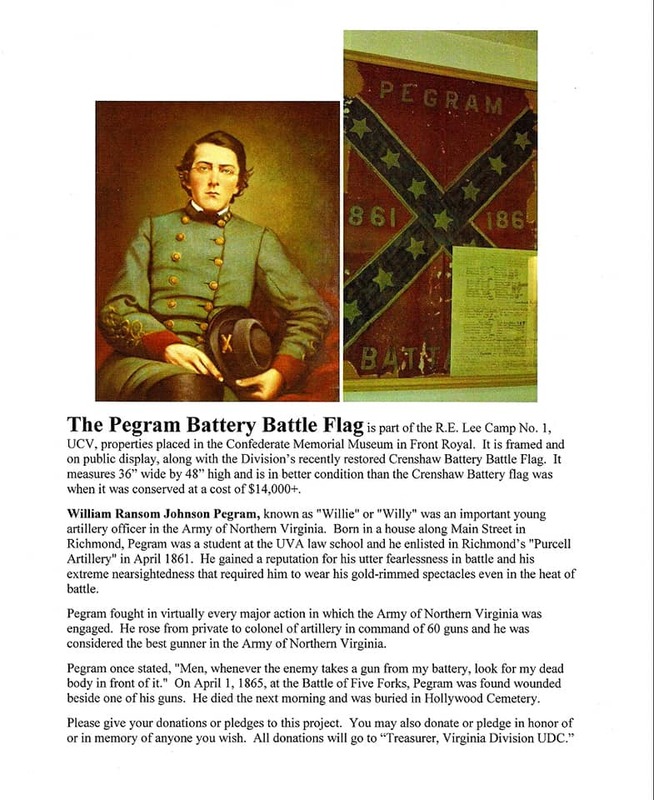 Pegram Battery Battle Flag – Civil War Historical Impressions, Inc.
As part of our ongoing efforts in Historical Preservation, I would like to announce that CWHI will be conducting a fundraising effort to raise money for this worthwhile project. 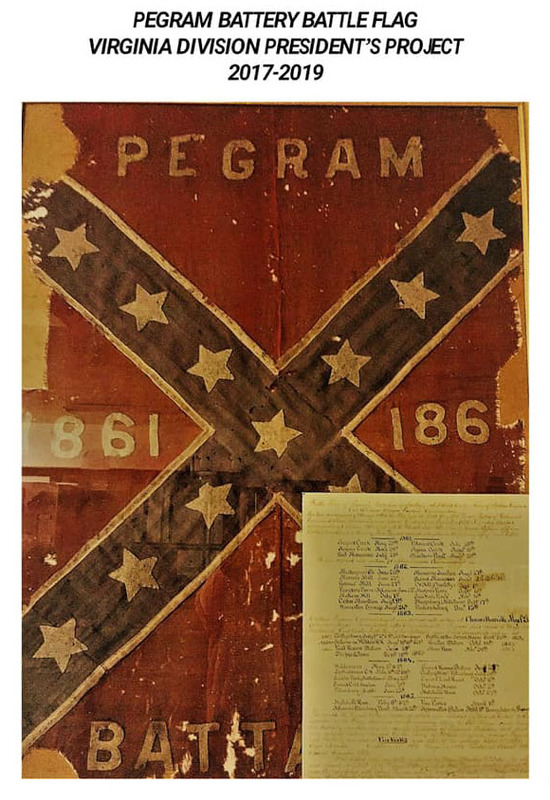 As her “President’s Project”, Virginia Division President Ginger Stevens of the United Daughters of the Confederacy, decided on the restoration of the Pegram Battery Battle Flag. 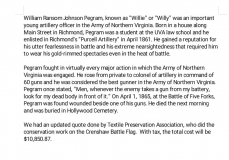 Upon learning of this and understanding the financial aspects of the project, I think this is exactly the kind of project we want to support. 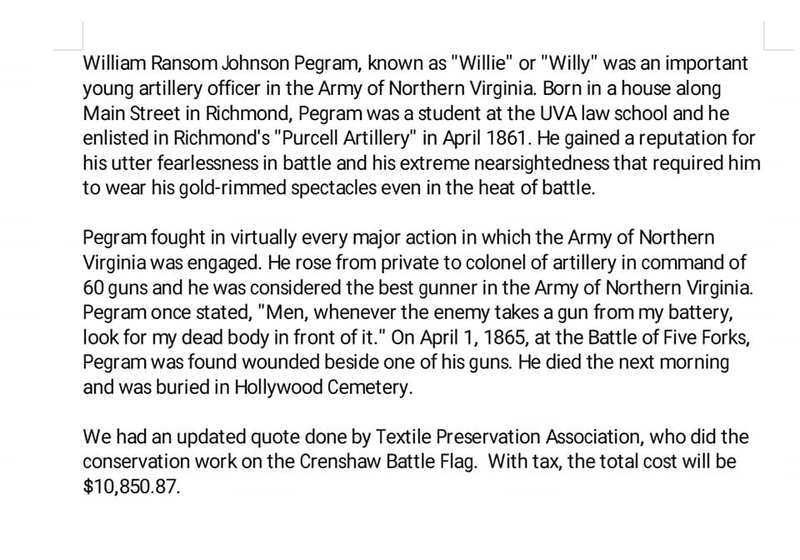 This is an ambitious project and one that is very much needed to remember those who sacrificed for all they believed in. Please make every effort to support our this project. That support is very much appreciated. 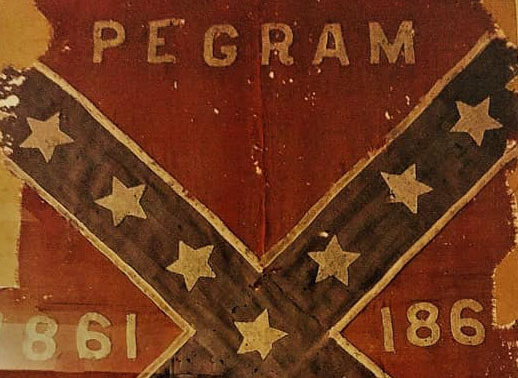 All content contained herein copyright ©2018 Civil War Historical Impressions, Inc. All rights reserved.